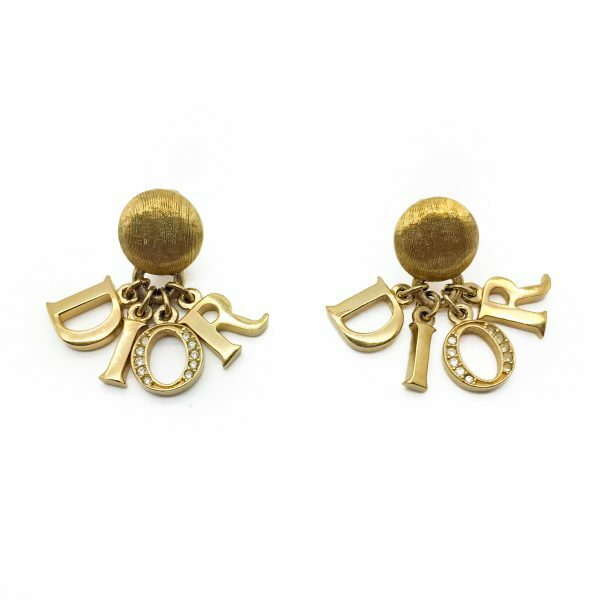 The most groovy Vintage 1990s DIOR Logo Letter Charm Earrings. Featuring the four DIOR letters as charms on a button style top. 18ct gold plated metal and set with rhinestones. Measuring 3.6 cm long, signed Chr. Dior and in very good vintage condition. A perfect, timeless ear clip from the House of Dior. Should you choose to buy from us, we commit to the item being as described. Your vintage costume jewellery will arrive beautifully packaged and presented, helping to preserve your one of a kind piece. Don't hesitate to contact us should you require further assistance.